I have been thinking about getting an aquarium or perhaps a terrarium for some sort of little critter. Friends tell me the thought has persisted to the point I should act. Idly, I looked on eBay and found something really funny. 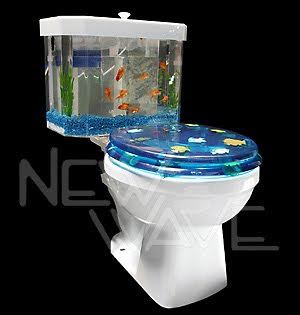 Considering the toilet humor so prevalent in my home, it's something I'd buy from New Wave Fish if the price weren't a bit out of my league.